Train: Mantua is within easy reach of Verona (45 minutes), from Modena (55 minutes) and from Milan (2 hours and 15 minutes). The train station in Mantua, situated in Piazza Don Leoni 14, is not far from the historical town centre and is connected by buses on line 4 and circular number 1 (stop in Piazza Concordia). Contemporary Art Gallery at Ducal Museum Palace of Mantua. Exploring international museum scale exhibitions with a contemporary approach in the heart of the largest museum palace in Italy. 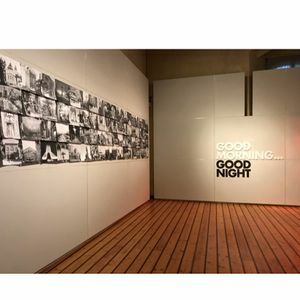 Comment on Good Morning... Good Night!